Pleased to announce it has been another successful year for LPC in the league competitions. Firstly, in the new local league where the improvers were given an opportunity to try out competition rules and play on the terrains of local clubs around the region we came 2nd overall. Heckmonwike came 1st by a long way winning 23 out of the 30 games whilst we won 15. Huddersfield came 3rd with Mirfield in final 4th place on points difference. Looking forward to next year and a big thank you to the organisers (especially Paul S), all the team players and clubs that took part. Meeting up and sharing the fun with members from other clubs was really enjoyable. In the York League, we took 1st place! We played Wiggington1 in the last game of the League on Thursday evening. We were one point ahead in the league table so all depended on us at least drawing 2-2 to win the league. Bit of a last minute panic ensued as one of the regular team couldn’t make it and so Richard Moss kindly stepped in to play instead. Having made a strategic change to our usual team selection and after hard fought first games we were at 1-1, but having beaten the Wiggington A team. We went on to then win the final two games comfortably to come out 3-1 winners and to claim the League title. A fantastic effort from the players on the night (Neill, Paul, Sam, Rosanna, Gordon & Richard) and all the other players that have been in the team this season. Congratulations to everyone who took part in the competitive games this season! Sorry no pictures to share. 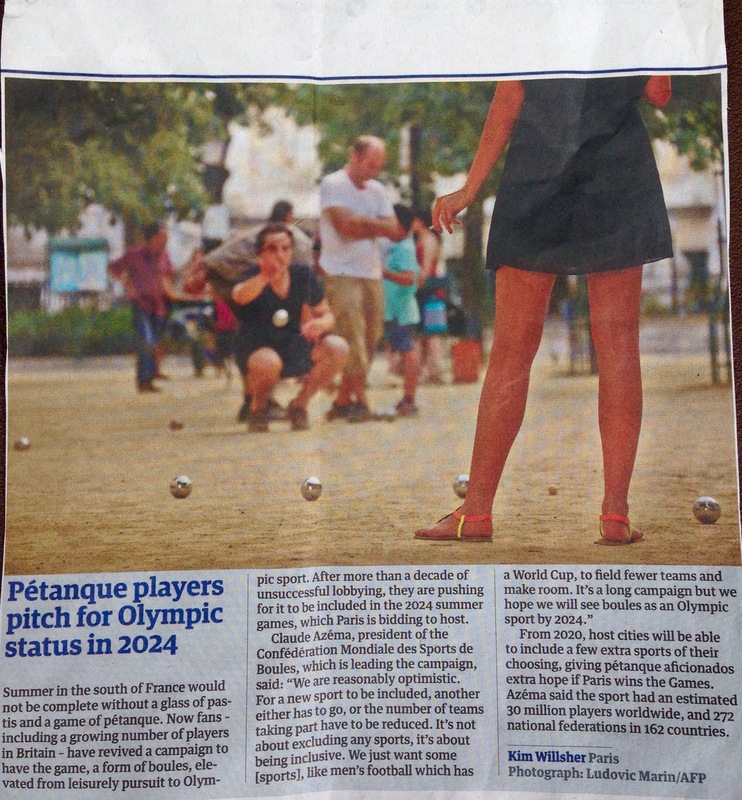 Apparently, there are 30 million players of pétanque worldwide in over 272 federations across 162 countries! That’s a lot of competition…but, great to think there’s someone somewhere playing pétanque at all times.